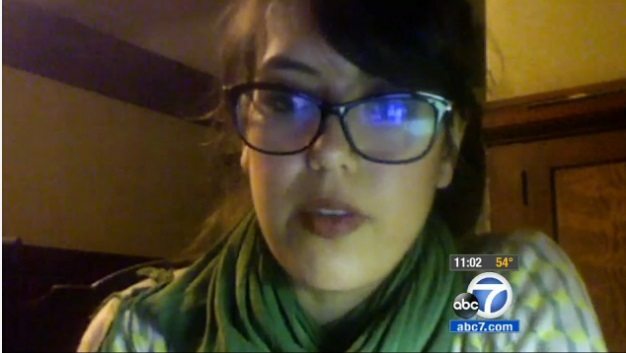 ABC 7 News in Los Angeles is reporting that federal health officials want to force a 26-year-old grad student, whose younger sister was one of the confirmed cases of measles caught recently at Disneyland, into a quarantine. Ylsa Tellez does not have the measles, and is not sick. So why do health officials want to force her into quarantine? Because she is not vaccinated against the measles. She could reportedly avoid the quarantine if she gets the vaccine. Lost in all the discussions you will read or listen to in the mainstream media regarding measles outbreaks is that there is no clear science proving that the vaccine actually prevents these outbreaks, or that the measles vaccine "wiped out" the disease. We applaud Ylsa Tellez and her refusal to give in to "Health Authorities" who have tremendous conflicts of interest in their incestuous relationships with drug manufacturers who distribute vaccines. U.S. law today protects vaccine manufacturers from being sued in civil court, and the U.S. government is the largest purchaser of vaccines, as they could never survive in a free market economy. These same drug companies were being sued so often for vaccine damages that they blackmailed Congress in 1986 and threatened to stop manufacturing vaccines completely if they were not given legal immunity. Congress willingly obliged, and the Supreme Court has upheld that law. The only recourse left to the public is to resist the removal of our Constitutional and civil rights. Forced Vaccination is a clear violation of our Constitutional Rights.. as is making someone who shows no symptoms be a Prisoner in their own home especially with the threat of Jail and of a Criminal record for going about your life as normal when you are not sick.. This is AMERICA NOT A COMMUNIST COUNTRY. Yes, we are experiencing medical tyranny. No exaggeration, And all this while much of the orthodox medical research has been demonstrating that all outbreaks occur in the vaccinated. Bacteria and viruses mutated into different and more virulent forms due to the effect of vaccination, similar to the catastrophic situation with antibiotics.